BabyStyle Oyster 3 Ride On Board is the perfect pushchair buggy board. The Ride On Board is brilliant for weary legs to hop on and off whilst on the go! Why should I choose the BabyStyle Oyster 3 Ride On Board? The BabyStyle Oyster 3 Ride On Board is a must-have pushchair accessory. It's perfect for your older child's little legs to hop on and off for a ride whilst on the go. It's been specifically designed for on the go usage, when you need a little support for your older child's walking. This perfect pair completely eliminates the need for a twin or tandem pushchair when you have a younger and older child! What's more, this Ride On Board can easily be stowed up when it's not in use and has a self lock to keep it stowed in place. This means extra convenience for you! As well as this, you'll be thankful that your BabyStyle Oyster 3 Pushchair is still able to fold to a compact size with the Oyster 3 Ride On Board attached. 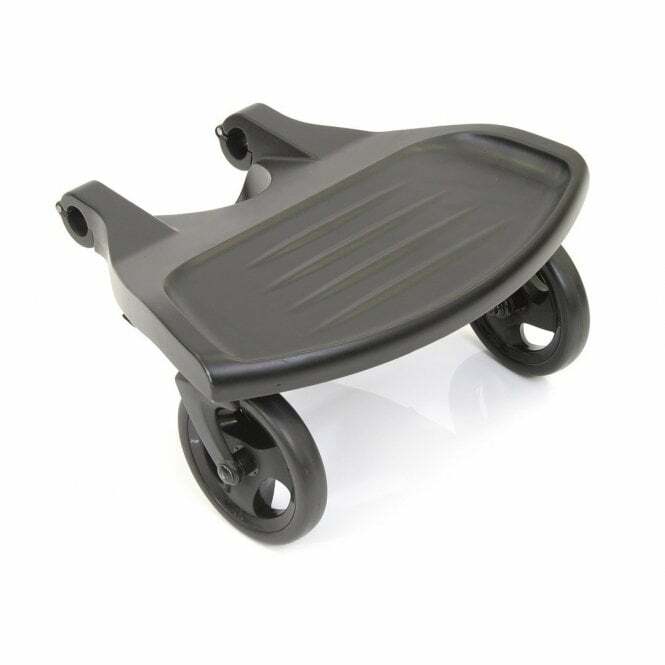 Perfect pushchair accessory for your little one to stand on and ride along. What are the specifications of the BabyStyle Oyster 3 Ride On Board? Safety: Intended for use for one child at a time. Do not overload. Do not leave child unattended. Always check the ride on board is secure before use. Suitable from approximately 2 years to 20kg. Compatible with the BabyStyle Oyster 3 Pushchair only. Is there a Manufacturers Warranty included with the BabyStyle Oyster 3 Ride On Board? BabyStyle offer a 12 month Manufacturers Warranty with the BabyStyle Oyster 3 Ride-On Board. This applies to UK mainland only.